Do your children like to build things with LEGO® bricks? My little superheroes enjoy building all sorts of things and especially love using our LEGO® Challenge Cards. As we were decorating our Christmas tree, my oldest son asked if we could make our entire tree out of LEGO® bricks. Since we don’t have quite enough bricks for that, I suggested that he make a few LEGO® ornaments for our tree. As he was building, he said that he was going to help his little brother make the first letter of his name. 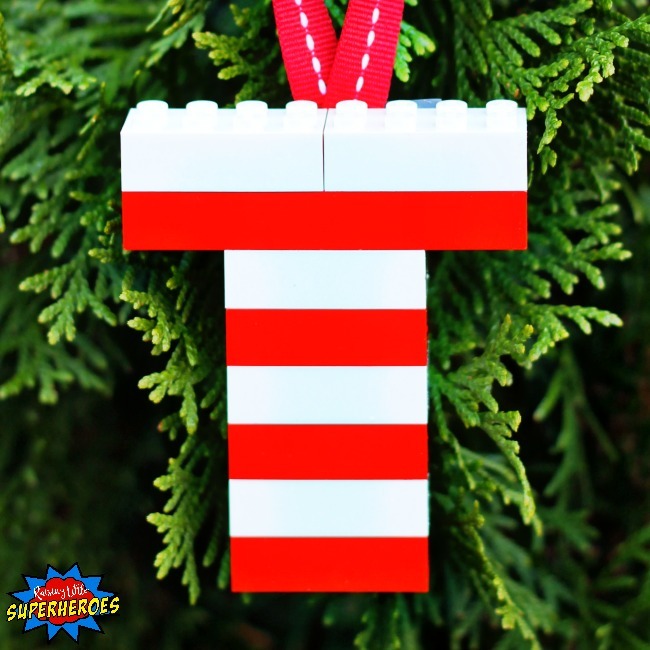 I thought it was such a clever idea and a super cute keepsake, so we created LEGO® Initial Christmas Ornaments. 1. Build the first letter of your name with LEGO® bricks. You could also build the first letter of your last name for a family ornament too. My children alternated the colors to make a pattern. One of my sons used 3rd and white bricks to make it look like a candy came. 2. After you have the letter formed, glue the bricks together. We used craft glue because it tends to have a stronger hold then school glue. 3. Cut a ribbon that is about 4 inches long. 4. Fold the ribbon to form a loop and glue the ends to the back of your letter ornament. 5. After the glue dries, hang the ornament on your tree. 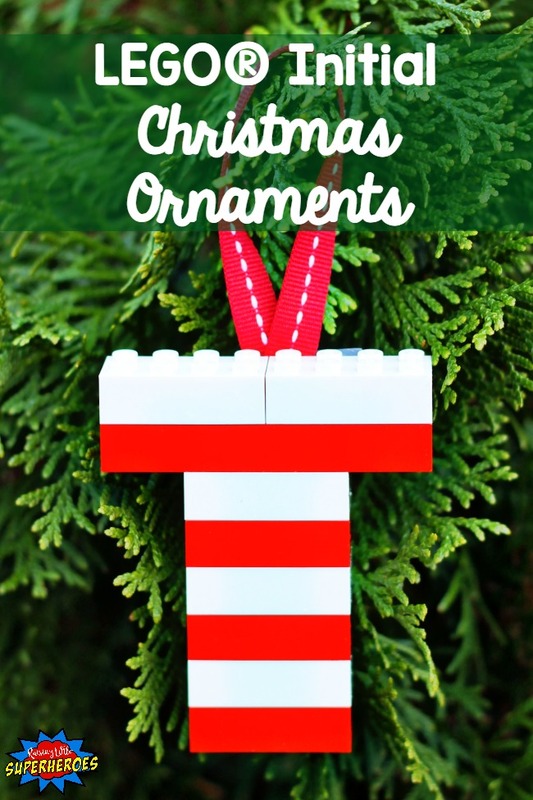 These LEGO® Initial Christmas Ornaments are not only fun to build but they are special keepsakes that you and your children will love to hang on your tree year after year. 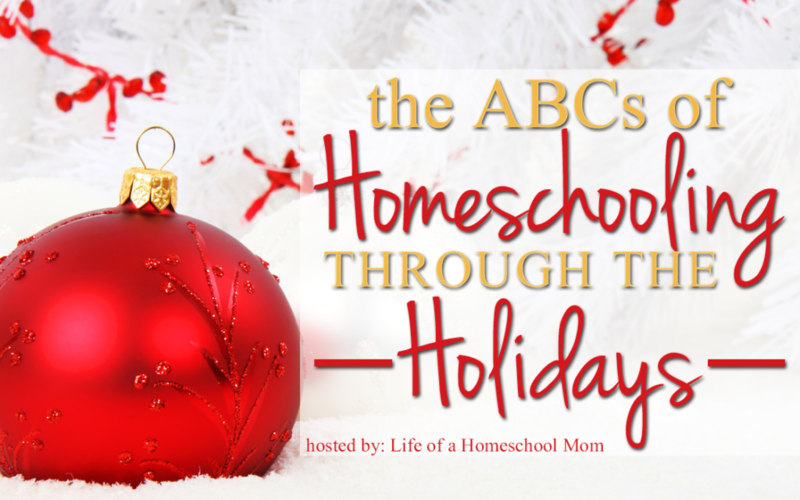 If you are looking for more LEGO® holiday fun, check out our 25 Days of Christmas LEGO® Challenge and all of The ABC’s of Homeschooling Through The Holidays ideas. What a great way to use LEGO bricks! It would really be special to have a letter for every family member on the tree.